How to implement Factory Design Pattern in Java ?. Program to demonstrate how to implement Factory Design Pattern in Java. // instance is to be created. // passed as a String to it. // the class passed to Class.forName() as a String. // 6. We return the concrete instance. 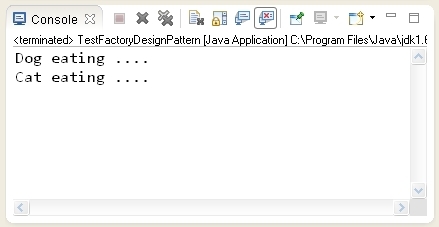 Video tutorial to demonstrate how to implement Factory Design Pattern in Java.